Hardwell has just released an HD broadcast of his performance at this year’s Ultra Music Festival, and a free download of his live set. The video shows a crowd of thousands enjoying his performance and at the end you get a one on one interview with Hardwell where he talks about his excitement, energy and passion for DJing. His set was concluded with a twist on the new-age mockery ‘Internet Friends’ by Knife Party in which the vocals and graphics stated: ‘If you don’t Like Hardwell on Facebook you are going to die.' You can check his Facebook page at www.facebook.com/DJHardwell. 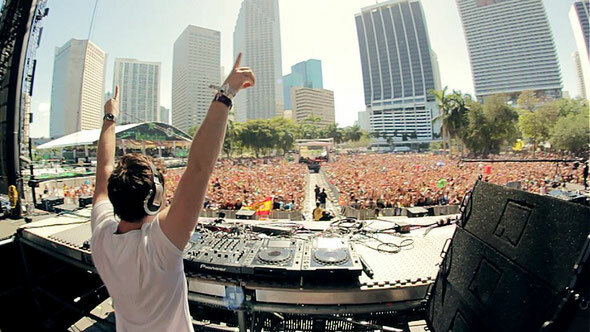 Hardwell was recently awarded the "Best Breakthrough DJ" Award at this year’s International Dance Music Awards in Miami.